In my opinion a garden is just isn’t a successful garden without flowers. 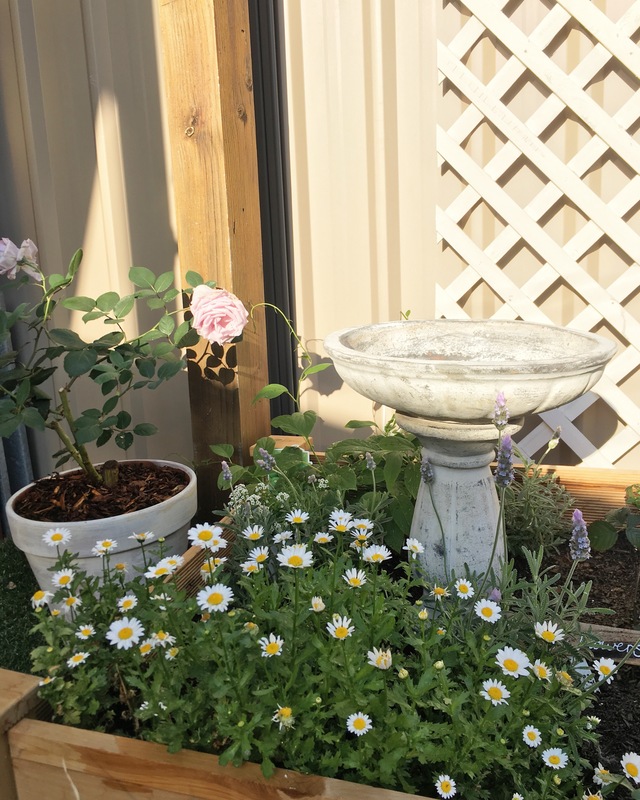 Not only for the reason that they look absolutely pretty…but because they are the source that attracts beneficial garden insects. These insects help with the produce of your vegetables and fruits, so basically without them you’re pretty much not going to have a successful produce yield. Are you starting a garden, be sure to plant flowers…lots of them, LOL. 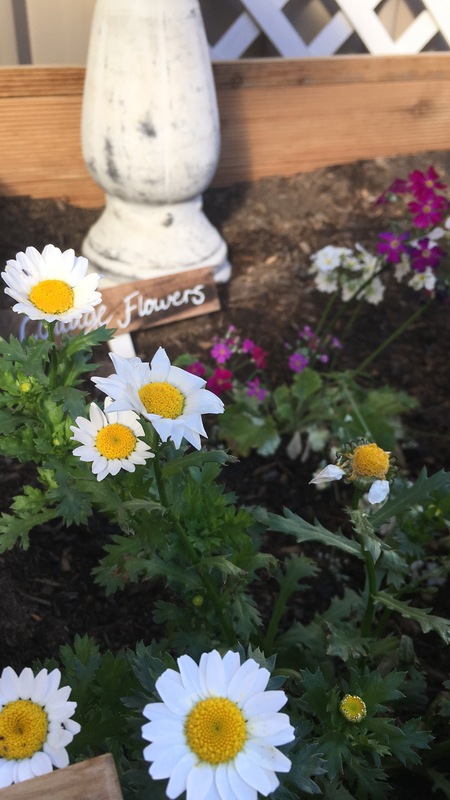 I have been receiving so many questions about what flowers i currently have planted in the garden. we have so many but i will briefly mention a few. 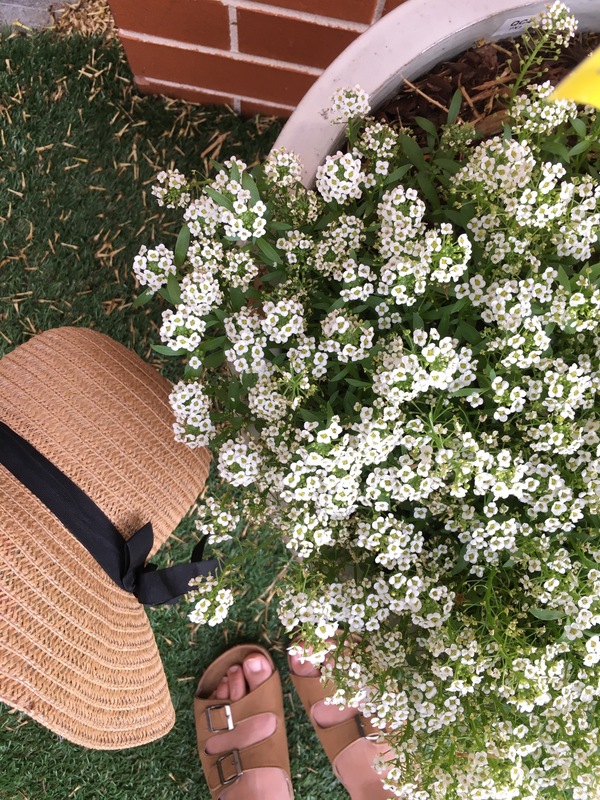 Alyssum has to be my absolute favourite ground cover. They’re so pretty especially when planted into a large pot and they begin to hand over the egde…Stunning! 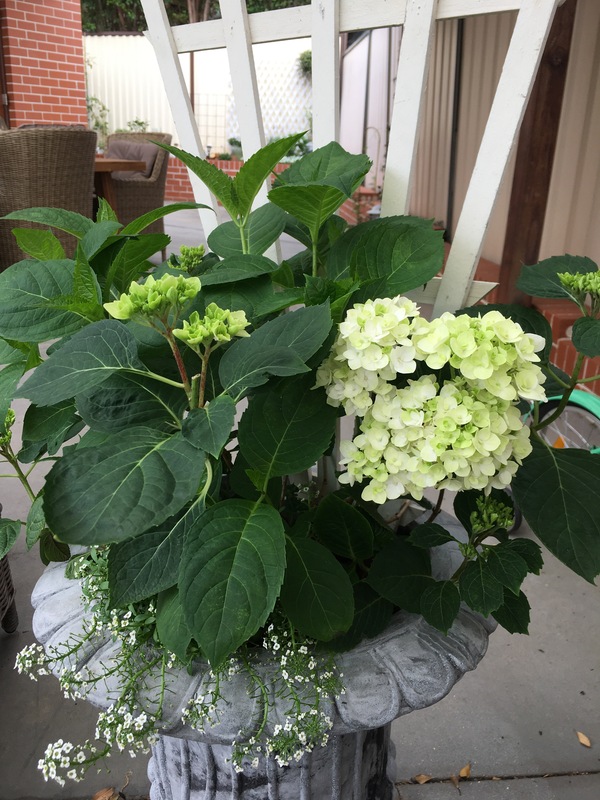 Hydrangeas are such beautiful cut flowers, for many years now our front porch has been completely hedged with them. They’re very elegant yet give a lovely cottage feel to your home. We had to plant some of these beautiful flowers in our back garden. we went for the blushing bride variety- a elegant white with a soft pink blending through. 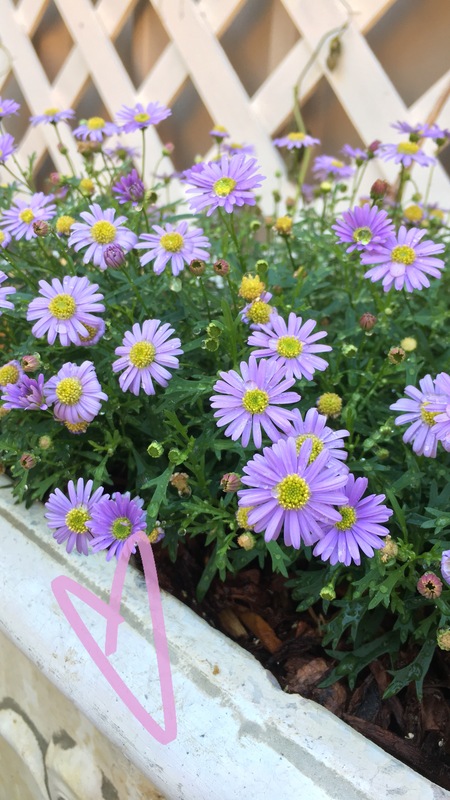 We have a few different variety of daisies planted around the garden, my daughters love picking them and weaving them into each others hair- so so pretty! 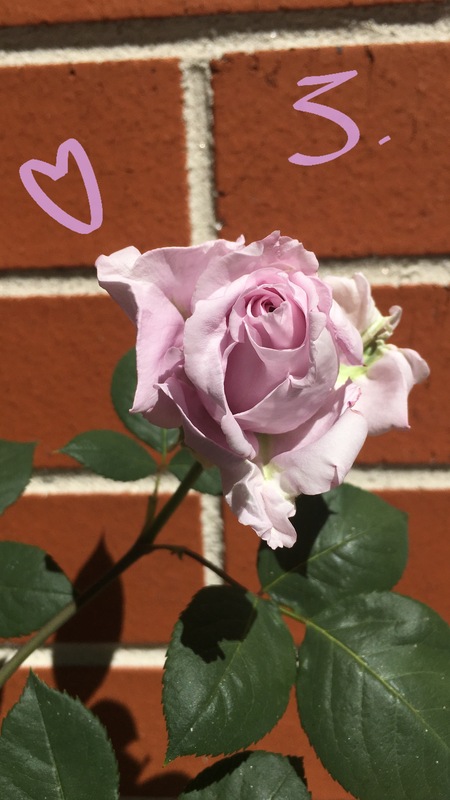 We have only one plant of roses planted in our garden called ‘Blue Moon’ a beautiful soft lilac colour that adds the right amount of pretty to the garden. Lavenders are literally scattered all over the garden, their soft scent is divine. They’re great for air drying and using in the home. 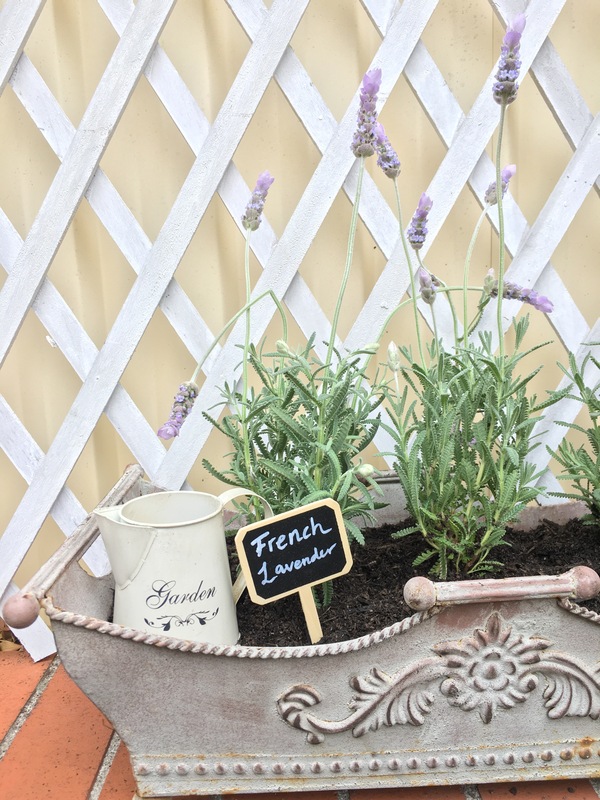 We love the ‘French Lavender’ Variety our absolute Favorite! 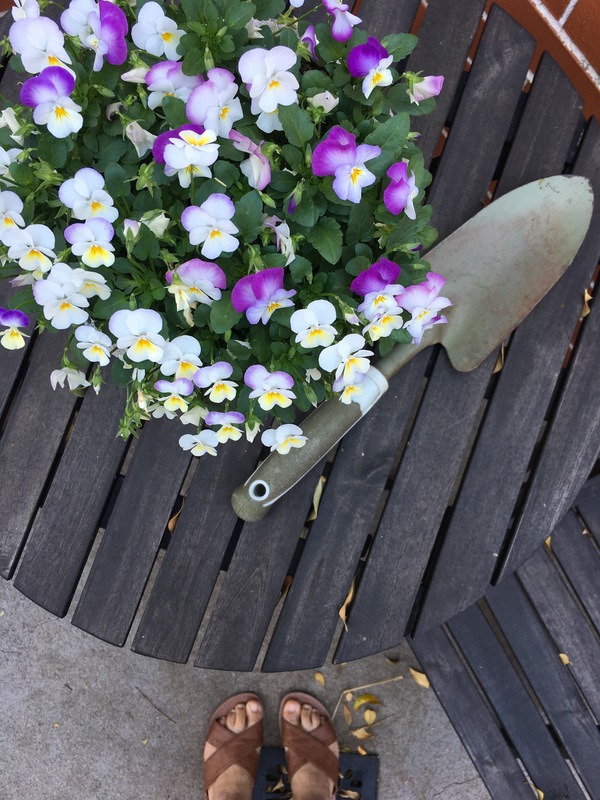 Violas are the prettiest and petite variety of flowers what we love about them i they’re edible. They’re perfect to pretty up any dessert. these are just a few of the flower varieties we have planted around the garden. 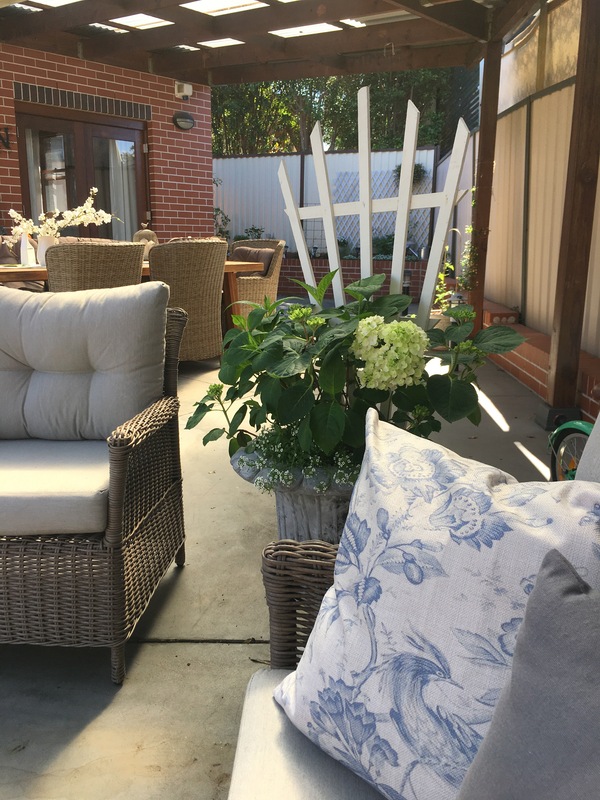 Go ahead pretty up your garden with a burst of Florals, you’ll thank me later. Till next time fellow gardeners. 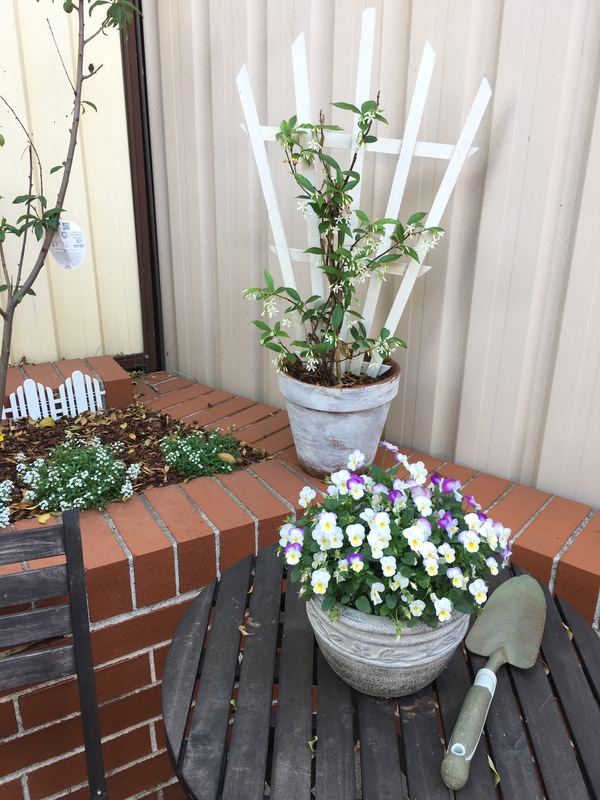 Previous Post How we started our Garden!